This is the final post in our buildOn content series. Over the last few months we’ve put our fundraising skills—and software—to use with a little company competition. And even though our fundraising campaign has ended, we still have one last story to share with you. When donors and fundraisers have the opportunity to engage with your beneficiaries directly, they feel more connected to your cause. This connection stems from a sense of transparency and it’s an important part of retaining donors over time. Yet, involving your supporters in the field isn’t always an option. 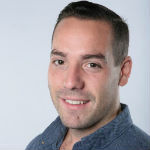 To better understand what might be lost in translation, we sat down with Classy account manager, Barrett Frankel. 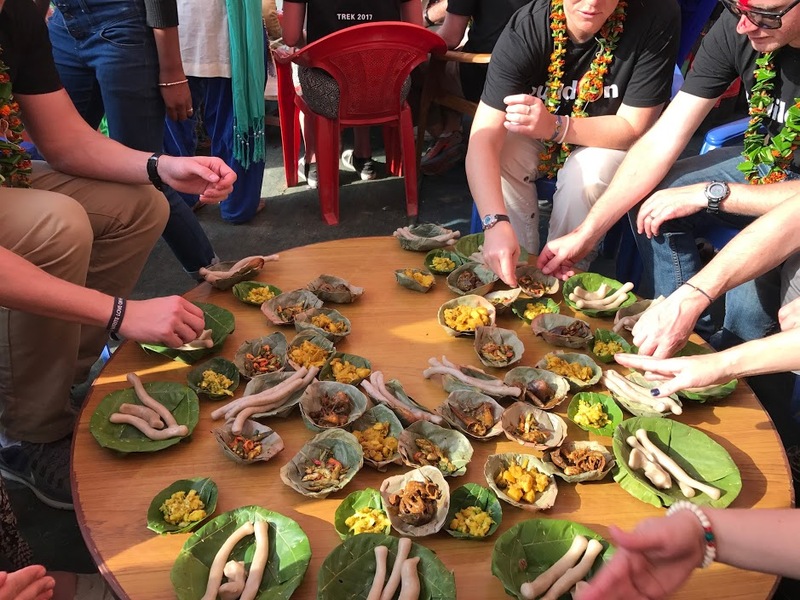 As one of our top fundraisers during the Nepal buildOn campaign, Barrett recently had the opportunity to travel to Nepal to help build the school Classy collectively fundraised for. She saw the impact of our campaign with her own eyes and her experience surfaced how nuanced social impact really is. Here, we dig into her experience in the field to better understand what elements you can seek to convey to your entire community—no matter where they are. Our buildOn peer-to-peer fundraiser for Nepal wrapped up at the end of December, and our top fundraisers won the opportunity to trek to Nepal to build a school. The trek left in March 2017, and when they returned, we were floored by the stories they had to share. Because of their physical trip, we had unique opportunity to understand what was made possible by our fundraising dollars. While the literal construction of the school itself was a more obvious example, what we couldn’t have fully anticipated or measured was the mental, emotional, and social impact made possible as well. This was more than just building a school. Every day was divided into two parts. The first part of the day focused on cultural exchange. For example, the villagers would teach the trekkers how to make banana leaf bowls. This was chosen since it’s a common activity in the village when there are celebrations, because there aren’t enough to accommodate a large gathering of people. Banana leaf bowls made for a feast. And once everyone had eaten out of the bowls, the village animals ate the bowls. There was no wasted opportunity or resource. The trekkers also learned how to make clay from dirt, mud, hay, and water which was then repurposed into a host of different items: storage pots, cooking plates, and kids’ toys. 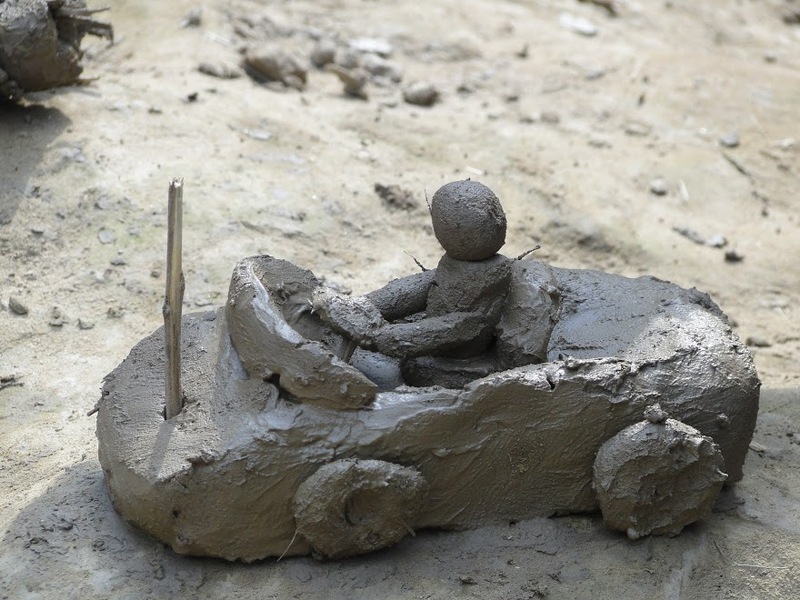 A child’s toy car is fashioned from mud. The second half of the day was focused on construction of the school itself. It was truly a community effort: every member of the village signed an agreement that they would commit a certain number of hours to building the school. The tools available to the Classy trekkers were limited. They had shovels, garden hoes, a few bowls, and one bucket in total. When they weren’t digging out the seven-foot hole that would become the foundation of the school, they took breaks tying rebar together. 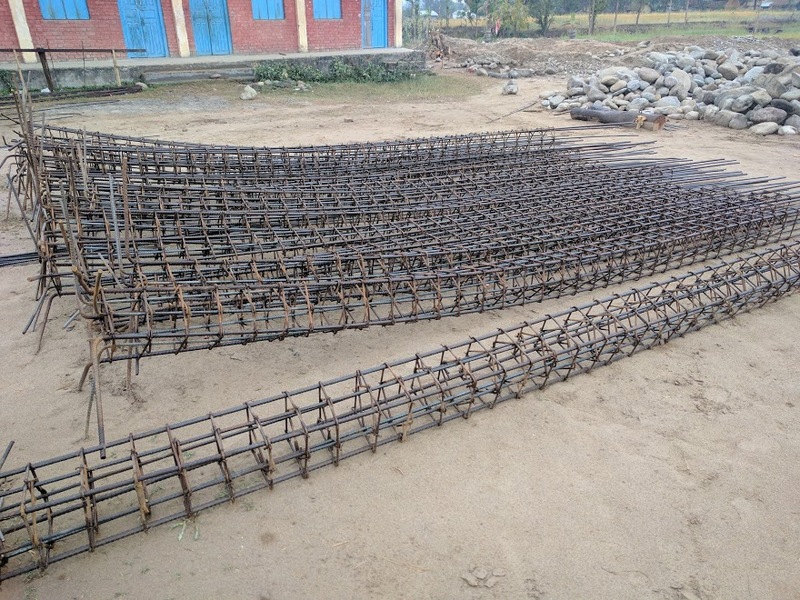 Groups of rebar, tied together. 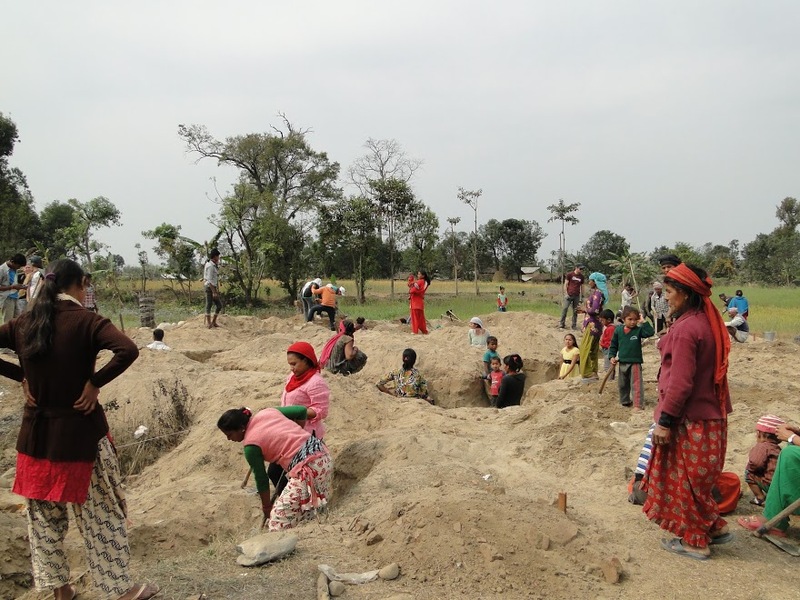 By the time the trekkers left the village, the holes had been dug out, the rebar was all tied, and boulders were being placed in the trenches to anchor the cement that would be poured on top. The Classy trekkers didn’t just fundraise to build a school, they fundraised and built a school. The entire village digging the foundation for the school. Another shot of everyone digging together. And when the day’s work was over, everyone returned to the homes of their individual host families to spend time together. According to Barrett, it was a golden opportunity to really immerse yourself in what their life was like. At first, Barrett admits she didn’t put too much thought behind the homestay portion of the Nepal trek. However, it ended up being her favorite part of the journey. What’s more, this impact goes far beyond the rural village our fundraisers built the school in. Barrett recounted a story of an interaction with a person in Kathmandu, roughly 500 miles from the village. She spent an extra day in Kathmandu on the return journey home where she had tea with a shopkeeper. 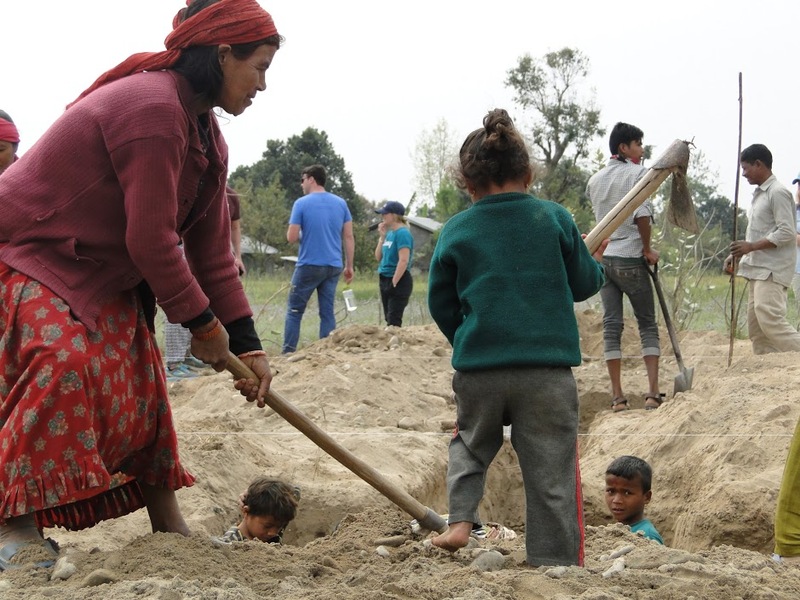 He asked why she was in Nepal, and she explained the school build. These are four different elements of social impact that come together as one. And when you try to be transparent and communicate that impact, if you consider all these elements, you’ll be able to tell a more powerful story and build stronger relationships with your supporters. All of us here at Classy want to thank buildOn, our fellow fundraisers, but most importantly the people of Nepal. Thank you for giving us the opportunity to learn about your culture and do our part to build for the future.